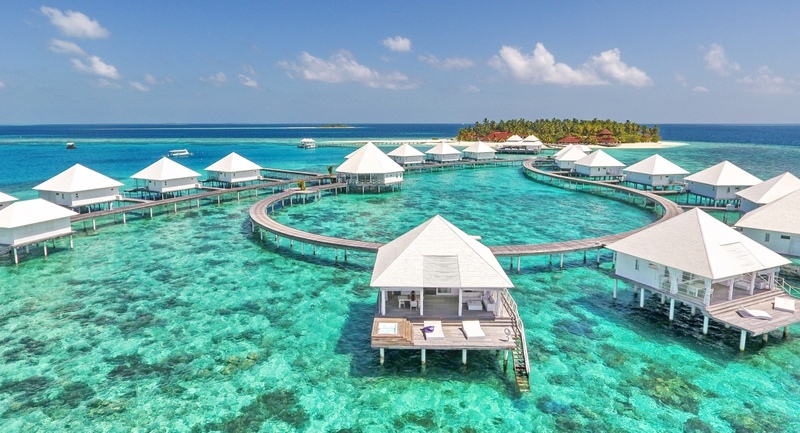 31 Beach Bungalows, 16 Beach Junior Suites, 14 Water Villas, 7 Jacuzzi Water Villas and 2 Two Bedroom Water Villas characterise Diamonds Thudufushi Beach & Water Villas. The inimitable Italian decor of the rooms, equipped with every comfort, guarantees our guests an exclusive holiday in an oasis of tranquility. Facing the unspoilt waters and with direct access to the beach, the 31 Beach Bungalows are equipped with verandas with private terraces featuring armchairs, tables and sun loungers. All of the rooms feature an outdoor shower. Located right directly on the beach and looking out at the beautiful Indian Ocean, the elegantly decorated 16 Beach Junior Suites offer a separate lounge area, an expatriate sofa bed, outdoor showers and a large private veranda with armchairs, tables and sun loungers. Located in an exclusive position at the end of the pier, the two “Two bedroom Villas” feature 2 double rooms with a large shared terrace and a pool. The rooms are tastefully furnished with tailor-made rattan furniture, contemporary Italian lighting and handcrafted parquet flooring. Each villa features a large living room with a comfortable sofa bed and a small corner bar. Room personalization is available for this room category.